iGear is coming out another "Must have" for Transformers Fan! It is not some custom add on like weapons but something bigger. Way bigger. This will surely complete your Transformers Generation 1 collection. 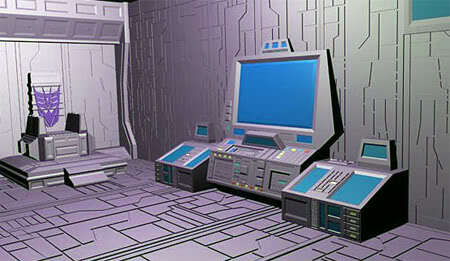 It is Computer Control Center just like how it was in G1 era! This is one diorama you would not want to missed loyal fans of Autobots. It was build to scale for classic Transformers. See how Optimus Prime look so at home in the photo? They even had a sick bay bed which Optimus Prime is sitting on. Decepticon will get their own too. A throne for the Mightly Megatron. Price is unknown yet but it wont be cheap from the size of the scale. Check out more over at iGear! They really know what fans want. Oh man I love diorama playsets! Especially techy style too! It is nice to see, but I doubt I will get one because of my budget and the lack of room to display it. It would look really cool to display in a glass cabinet though! I-I think I just came. sweet diorama for optimus... i wonder how sideshow's diorama for snake eyes will turn out....if only every toy has a diorama..how cool will that be? and how space consuming. Space is always a concern for collectors. Wait till you see the actual product on sale within your reach. LOL kit kat the button is for show only. If the button can press, expect to buy more for that.